What is a Gas Certificate? 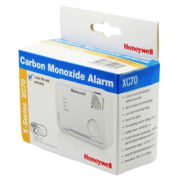 Why Should I Have a Co Alarm? We are competent Gas Safety engineers who carry out inspections and gas services on rental properties or private properties within the m25 area. Our Gas Safe Registered engineers will assess your boiler to help ensure you remain compliant with current legislation a must for landlords in the rental market. All landlords must obtain a gas safety certifcate each year by law.